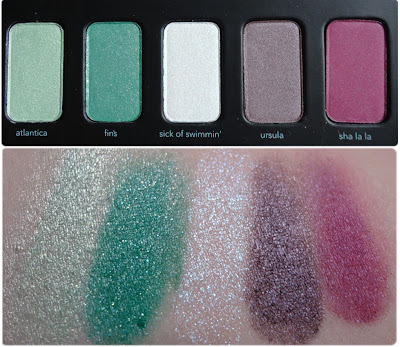 A while back, I posted pictures of my latest Sephora haul, where I picked up the Disney Ariel Storylook Palette and went berserk over the colours included. 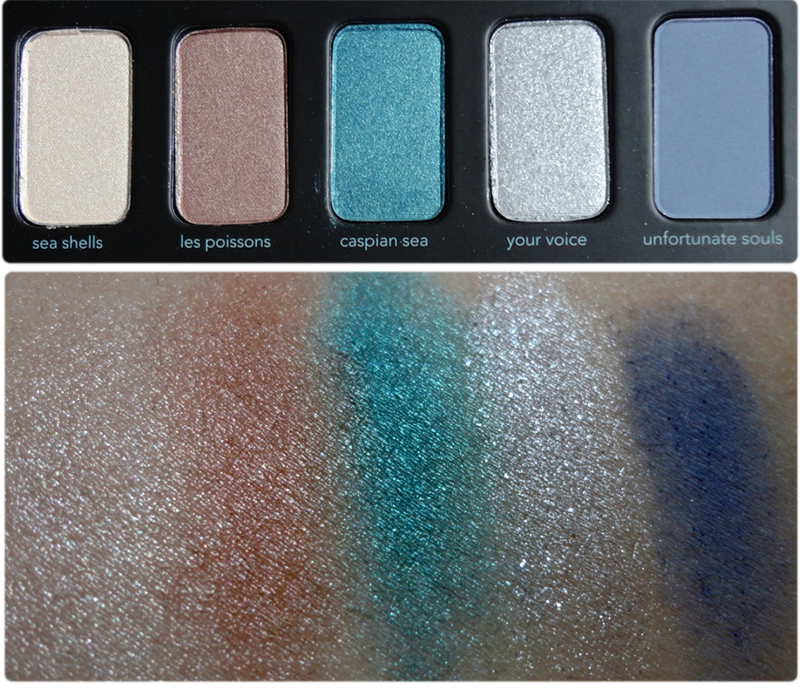 Honestly, I picked it up for 'Caspian Sea', the gorgeous shimmery teal because I'm a sucker for blues, but when I got the palette, I appreciated that it contained a vast selection of colours. I'm usually more of a neutrals eyeshadow gal, but gold? Silver? Purples? Greens? I thought those eyeshadows were a myth! 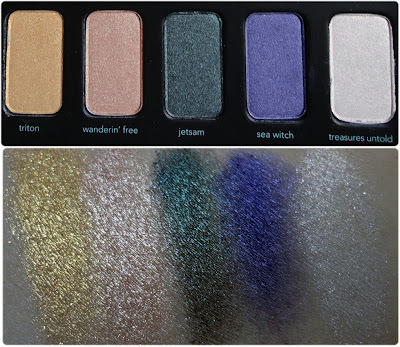 - I love the large variety of shades and finishes you get in this palette. 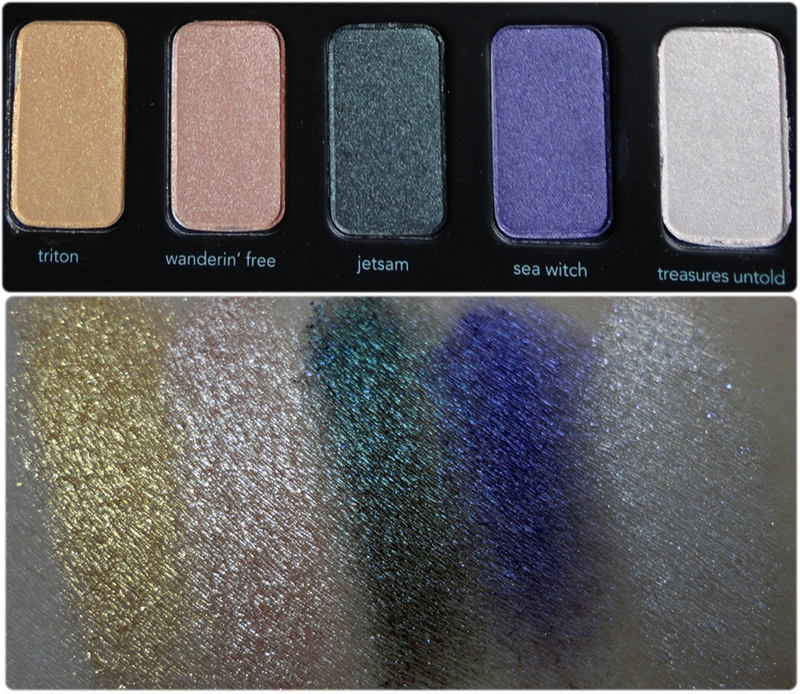 We've got a silver, a gold, some frosty whites, shimmery champagnes, matte purples...ugh, gorgeous! This is definitely a very bold and bright palette, and a great one if you're ready to get out of the neutrals comfort zone to start playing around with a multitude of colours. - 'Ursula' and 'Sha La La' are soooo amazing to the touch. They are smooth, so buttery and so pigmented! I would just love to touch these two all day! 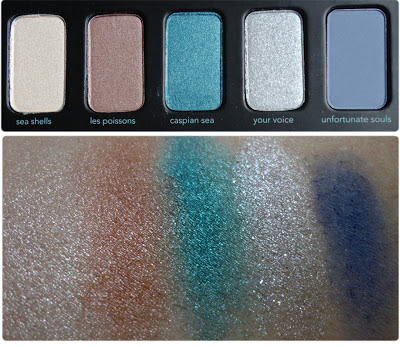 - The pigmentation on some of the shades are intense! - Textures were inconsistent throughout the palette. 'Ursula' and 'Sha La La' had the perfect texture, in my opinion. 'Ursula' is a frosted finish, while 'Sha La La' is a satin finish, but both are incredibly soft and 'creamy', and I wish the other shades had been the same. 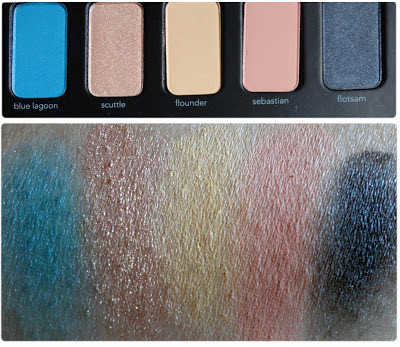 The mattes were a bit dry--I also found 'Sebastian', a salmon matte, to be a bit chalky/powdery. Some of the shades were difficult to pick up because the texture was a bit harder in the pan. I would maybe only use about six of the shadows. But it's a lovely palette. The colours look amazing. Great job on the swatches!